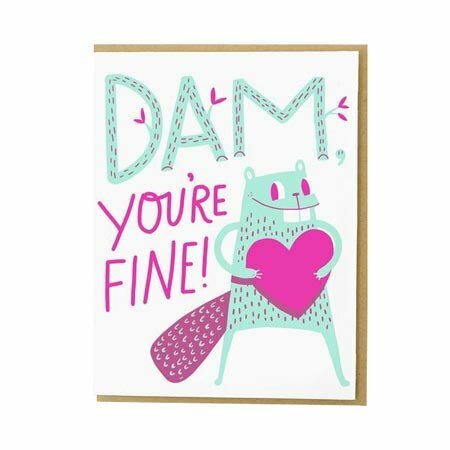 "Dam you're fine!" 4.25" x 5.5" greeting card letterpressed by Hello!Lucky in San Francisco, CA. Blank on the inside.